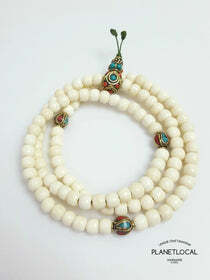 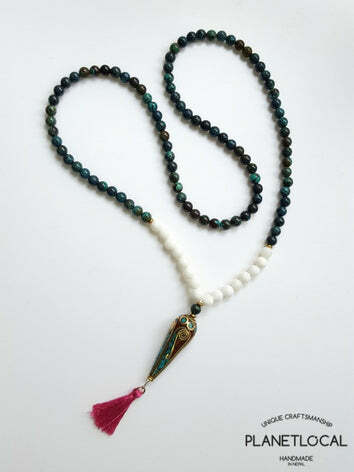 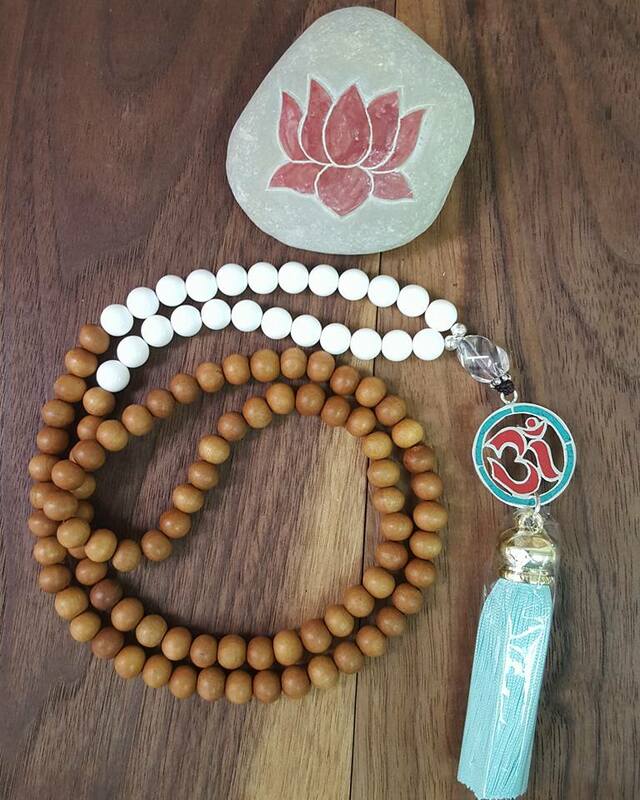 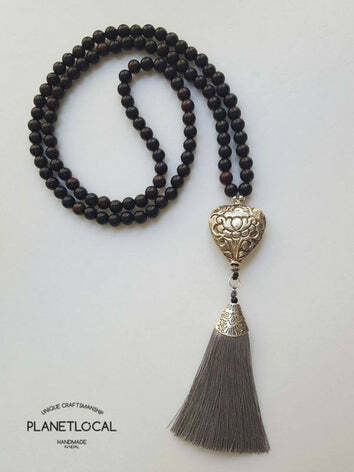 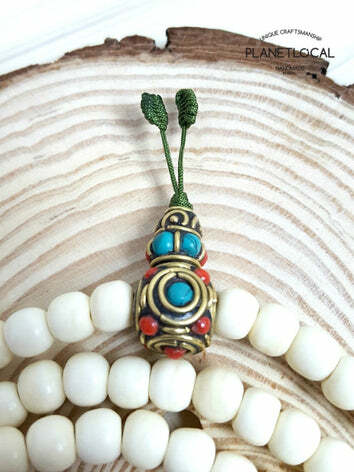 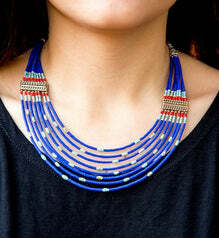 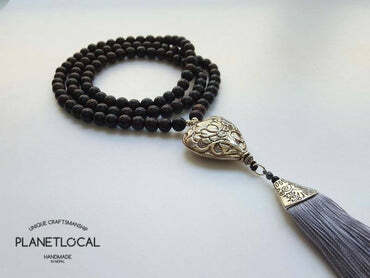 This unique Mala symbolises the relation between seas and land. 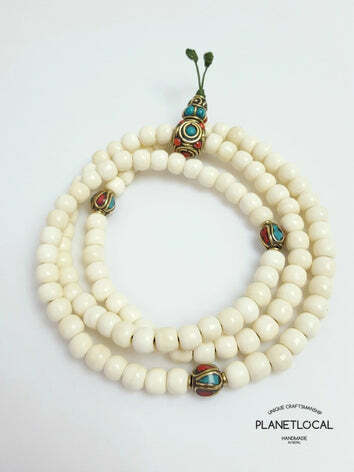 It is made of shell beads from the sea and high quality real sandalwood from the land. 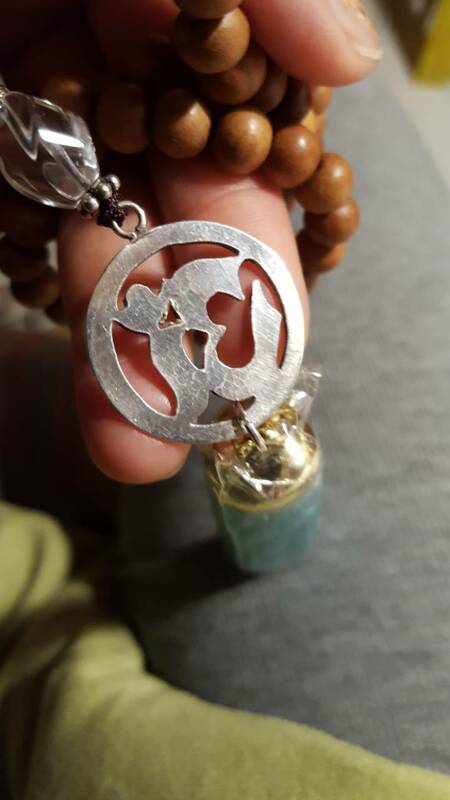 Also, added a real crystal, 925 Sterling silver OM charm and an ocean blue tassel. 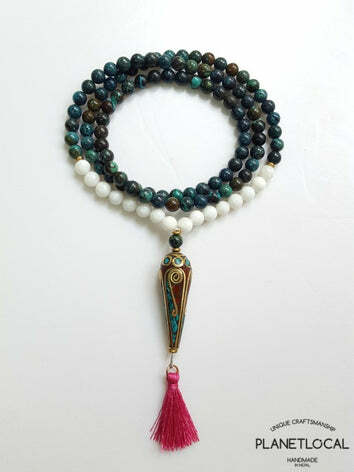 Each mala bead measured 8mm.